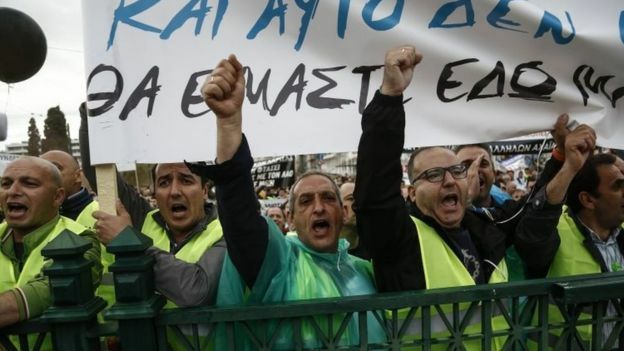 One more powerful strike has taken place in Greece against the austerity measures being implemented by the government for the last seven years. Wages, pensions are being cut while the cost of living is going high. Government employees, teachers, workers in transport, railway, airways, shipping – all went on strike on 17th May and thousands of workers demonstrated in Athens. They demanded immediate stoppage of the austerity measures and restoration of wages, pensions etc. We extend our full support and solidarity to the striking workers of Greece!